Hi everyone, this is a brand new class! 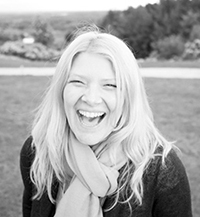 And I am very excited about it. 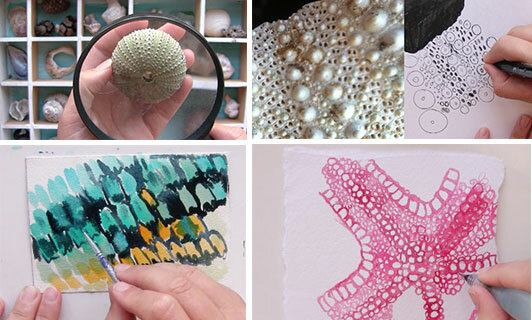 We will create beautiful mini pieces of art inspired by images we find beyond the naked eye. 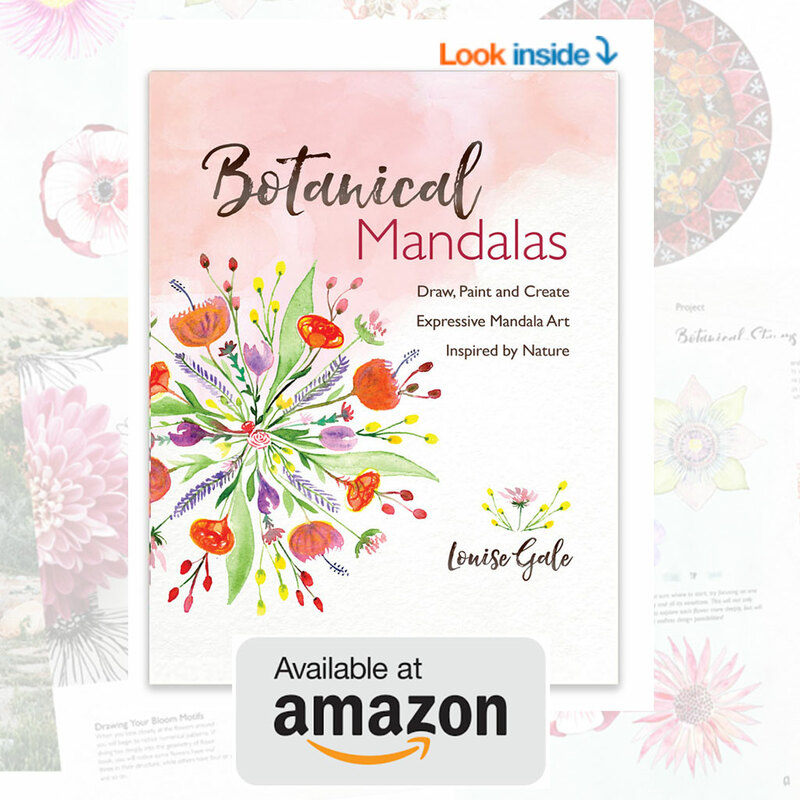 Each piece of art will be unique, some abstract, some full of natural patterns and many will form beautiful mandala designs that are also found in nature. There are also over 200 images in the class downloads library for inspiration and below are just a few – can you guess what they are? Answers to macro images above : insect wings, sea urchin, waterdrop on a flower, dandelion with droplets, butterfly wings and a shell. 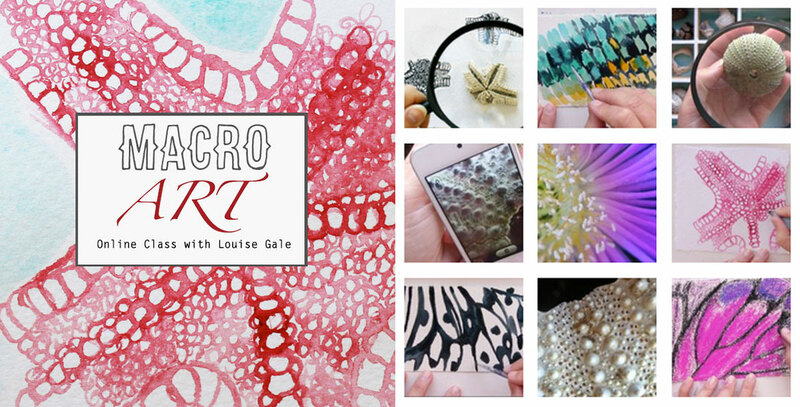 Macro Art Classroom opens tomorrow! 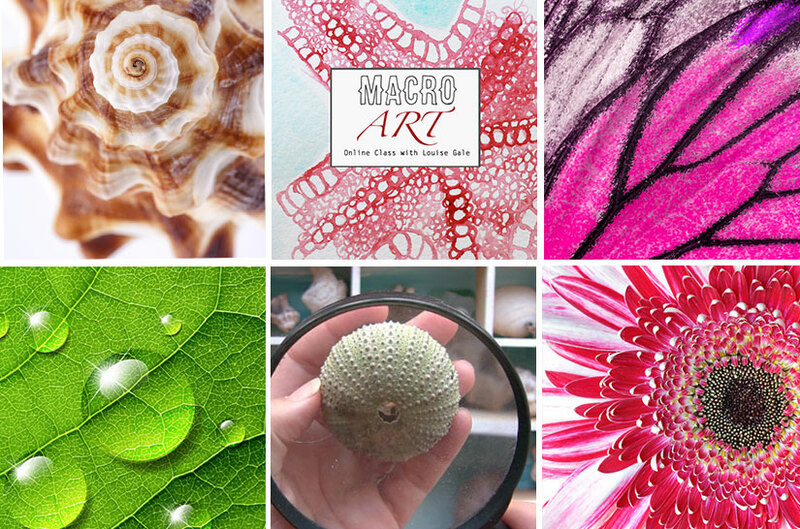 In this class, we will be creating at least 15 pieces of mini art inspired by the beauty of nature as seen through a macro lens/magnifying class. 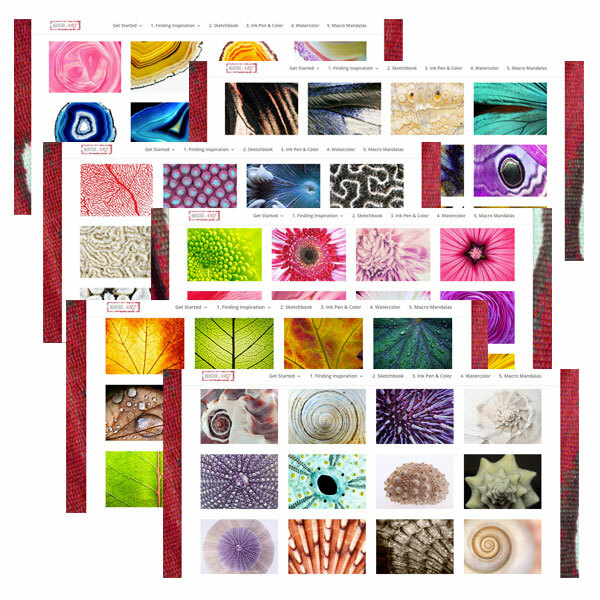 Recording patterns in nature, cells, shapes and colors, our artwork will take on a beautiful unique look and feel. BONUS: There will also be a HUGE vault (200+ images) of macro images for you to download and use as inspiration and reference so even if you are unable to capture your own images, you can select from my collection. These will also include microscopic images so we will dive deeper and deeper into these worlds for inspiration. 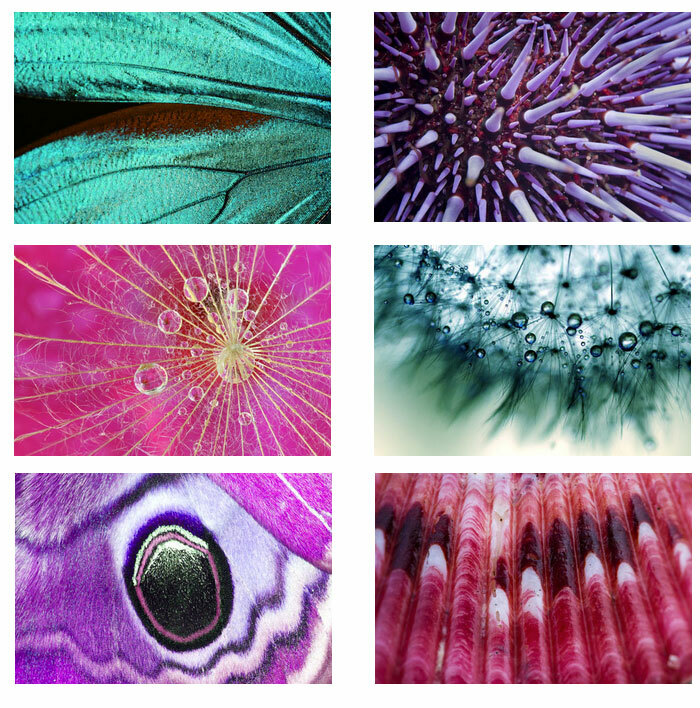 Above: Just some of the free images you can download and use for inspiration in the classroom!